Let’s talk about Brooklyn. It’s totally awesome. Back in the day, when Manhattan was everything, Brooklyn existed for day trips, pizza, and city skyline views. Back in the day it was full of warehouses and not multi-million dollar apartments. And then the hipsters moved there and then strollers and dogs, and now its kind of the cool place to be. I love my neighborhood, but if I didn’t have an hour commute each way, I’d love it even more. The family that works in Brooklyn, moves to Brooklyn. And I really want a puppy. Brooklyn also has amazing bakeries, ones that I want to curl up in and drink their strong coffee and eat their dainty cookies. And One Girl Cookies is perfect for that. There are two locations but the one I frequent is in DUMBO. Because its across the street from the most picturesque park and view of The Brooklyn Bridge. And what goes better with baked goods except coffee and the view of The Brooklyn Bridge. Yeah. It’s pretty great. 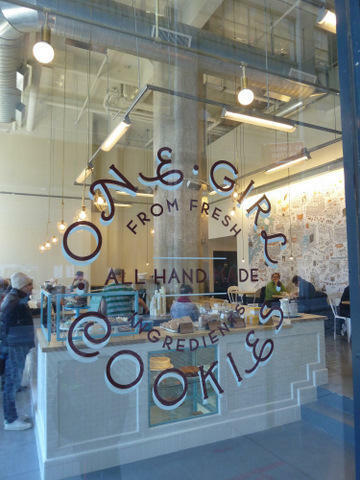 One Girl Cookies is known for, well, cookies. I know. Crazy. They are adorable and bite sized so naturally I love them. Because mini anything is the best. But they also have whoopie pies, cake, and cupcakes. These cupcakes are not crazy flavored but they are delicious. Like, really, really good. 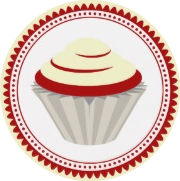 I know I’m just beginning to scratch the surface of this cupcake adventure, but I’m liking where this is headed. And we already know that my favorite cupcake is not a mocha cinnamon chai from that large cupcake chain. Give me chocolate or vanilla anyway. As long as it is the best chocolate and vanilla. As you can see below, this is the highest scoring cupcake we have met so far. And there are several reasons for that. Upon first bite this cupcake exudes dreams of childhood, but not in a bake sale, cake mix way. Definitely in a “mom loves you and she splurged on the bakery cupcakes” way. Always the way to be. There is a good chocolate flavor, which isn’t overpowering and not too sweet. It was actually hard to break down each flavor because it all blended so well together. This is a problem I’m willing to have. My one wish for this chocolate cupcake is more chocolate flavor. Because I want intense, hit you over the head, chocolate. I won’t fault One Girl for providing a solid chocolate cupcake when I’m looking for deep, dense chocolate. Im just intense, obviously. The mocha frosting is perfect. Crusty on the outside but as soon as your mouth breaks the surface, creamy buttery heaven. Not too sweet, not too buttery, and perfectly balanced. Can we talk about the presentation for a bit? One Girl gets a perfect score because of their expert spikes which is totally show-stopping. I can’t even begin to emulate that, which is fine, because they do the best job. The frosting and the cake are both solid and I’m happy to have found a cupcake that knows how to provide a cake:frosting ratio appropriately. You don’t feel like your missing out on anything here. It’s literally a break in my day where all I focused on was cupcake happiness. Thank you, One Girl Cookies, for transporting me to childhood again.